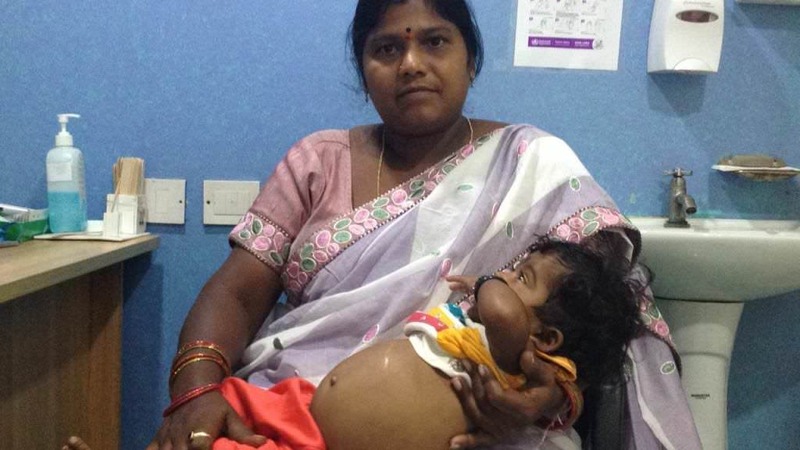 Since she was just a few months old, Keerthana began showing symptoms of a failed liver. She had yellow eyes and a severely bloated stomach. Despite being a year old, Keerthana still can't sit up on her own. She keeps crying all the time because she is pain. Her parents hold her and try to give her some comfort. But besides a liver transplant, nothing will make her better. 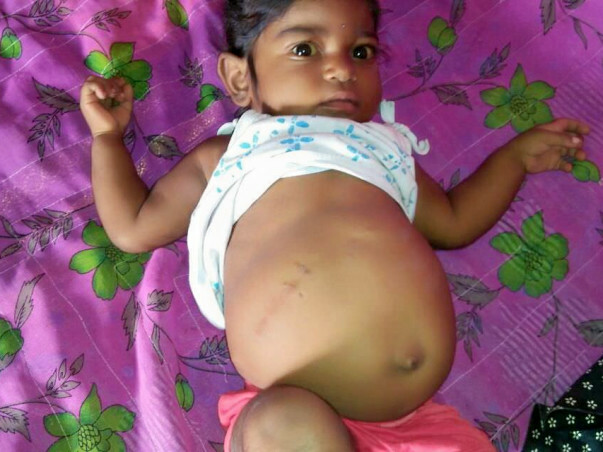 Upon being taken to the hospital it was found that Keerthana is diagnosed with Decompensated Liver Disease and would urgently need to undergo a liver transplant. 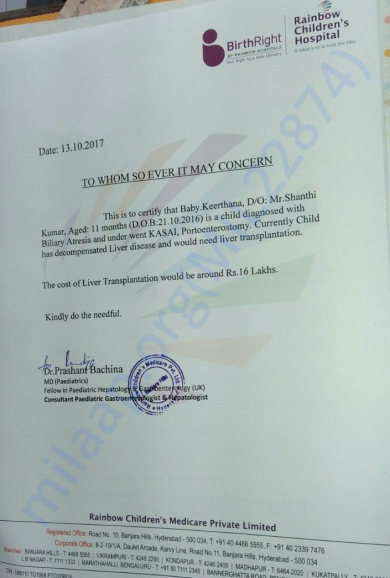 The total cost of the transplant is around 16 lakh Rs and in order for Keerthana to recover from her condition, she would need to undergo the treatment at the earliest. Unfortunately, Keerthana's parents do not have the funds to pay for her treatment. Her father is worried that without this he would be unable to save his daughter. Keerthana's father is a small-farmer and his monthly income on an average is about Rs 8,000. “Parents go through a lot to bring up a child in a lifetime. But the last one year had a lifetime of suffering for the both of us. Keerthana cries all the time. She is in so much pain and there is nothing we can do. My wife Sandhya, who stays with her all the time, has stopped eating and sleeping,” Shanthi explains. To help Keerthana undergo the transplant please donate. We have some unfortunate news to share with you. We received news that Keerthana passed away on Thursday (25th January). Her parents are devastated. This tough brave kid had fought very hard, however, due to infections and other complications she could not make it. The funds raised via this campaign will be utilized to settle her medical expenses. Please do pray that the family finds strength in this time of need and thank you for all the love and support you have shown this little one. Your timely support ensured that she received the best medical care. Meanwhile, there is Srinivas who is leaving no stone unturned to raise funds for his daughter's treatment. Every parent is protective of their first child. 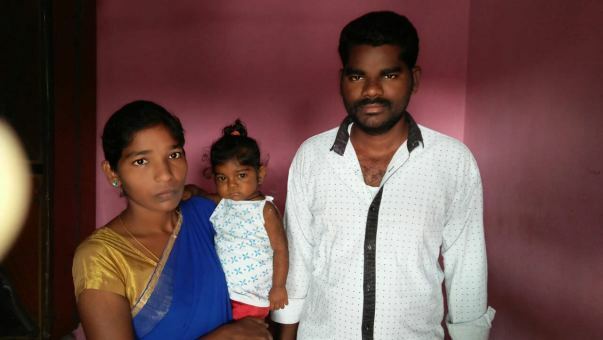 Sarita and Srinivas waited for 9 years to have this baby girl. They have spent everything they had on her diagnosis and treatment. Now, without much in their wallets, these parents are pleading everyone they know for help. Upon the consent of the doctor, the balance funds from this campaign will be used to help Srinivas's daughter. We request you to write to us if you have any concerns within 7 days by 20th February, post which we will transfer the funds to Srinivas's campaign to help her with the treatment. Thank you for all the love and support you have shown Keerthana so far. She is doing better now all due thanks to your blessings. 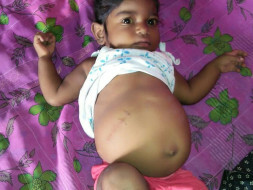 Keerthana is undergoing tests to ascertain when the liver transplant can be performed. The family cannot donate their liver as they are not suitable donors. 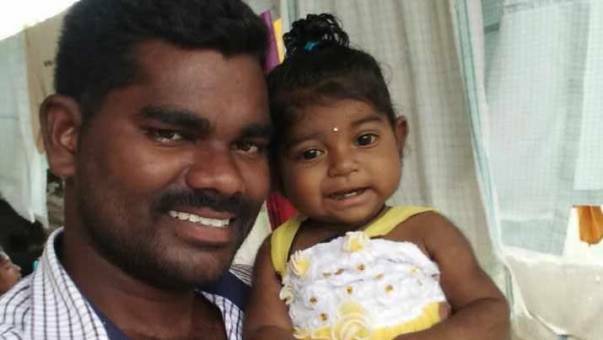 They are looking for other sources for a donor who will match little Keerthana. Thank you all for all the love and support once again. Would request you to please pray for her health and recovery. Will keep you posted. Here is an update on Keerthana. Currently, the baby is at home and doing better. She is on regular medication to keep the enzymes balanced before we proceed for the transplant. She has to go for regular checkups. Doctors have suggested that transplant can be performed within 2-3 weeks as and when we find the prospective donor. Please pray for her health and recovery.